It depends on whether they are growing a lot. Usually every 1-3 months though. Is it bad if they shed more often than that? It's not BAD ... But it could indicate some problems, like they're trying to heal scars or they have mites or something. Lucy sheds about every three months or so. As a baby the shed monthly or every 5 weeks because they grow so quickly as a baby. After about 6 months the slow down PROVIDED YOU ARE NOT OVER FEEDING!! You should only feed once every 7-10 days and never too large a meal (larger than the snake). 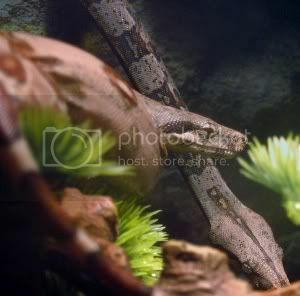 It is actually better to feed two meals slightly smaller than the snake that too big a meal. Another reason for too often a shed is mites... do you have multiple black spots on your snake and or substrate... a good way to check is to use several sheets of WHITE paper towel, wet it and wipe down your snake... if you see what looks like pepper... you have mites. Whats worse...so will every snake you own!! Spray or mist him for the next couple of days. They need extra humidity to help shed. 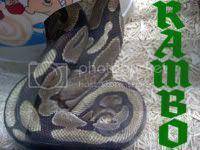 My female Ball Python is in Shed, and when i mist her, she get into a tighter ball, Dose anyone know why they do that??? I misted her when i first get up at 8am when i go down to get my step-dad food, then when i get up at noon and then 6pm and then before i go to bed at night!! !